A couple days ago I was cleaning the guest room and decided it was time to tackle the dresser in there. Since last year it’s been storage for wedding-related items, travel stuff, and other miscellaneous shenanigans. I finally purged the drawers so the only things in there are guest-related items. For starters, I dumped everything out of the drawers and took out the old contact paper. Then I put in the rest of the polka dot contact paper I used when I tackled the under-the-sink areas in my kitchen and bathrooms. 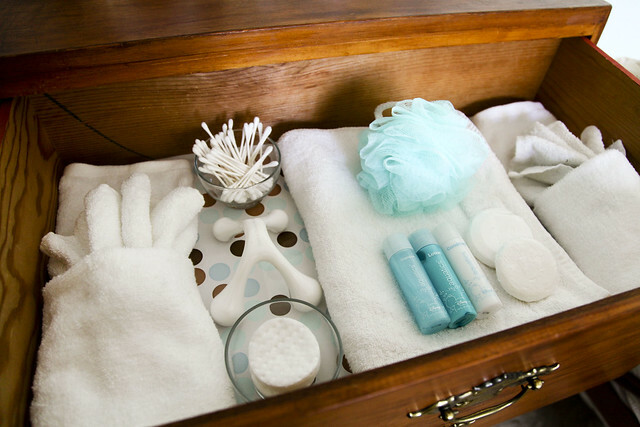 This is the top drawer which has towels, washcloths, cotton pads + swabs, a loofah, and a few extra Disney toiletries I brought home from my Disney World honeymoon. Now when I have guests over, the dresser is all for them. 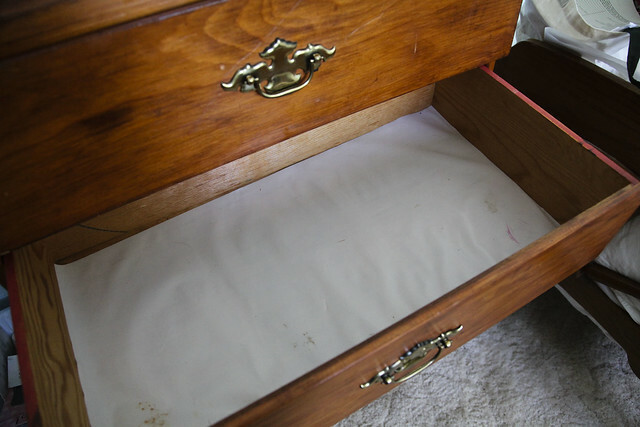 The first drawer has what you see above, the second drawer has additional travel-size items, the third drawer is for guests to store any clothing, and the last two drawers have extra blankets in them. UPDATE: My post was featured on DisneyEveryDay.com! Thanks Amanda for the shout-out! ???? This is a wonderful idea! We’re moving into a new home soon and will finally have a guest room (technically it will be our daughter’s playroom but will serve as the guest room when we have some) so I will be using this idea. Thank you for sharing!